Built-in fully customizable studio quality FX. 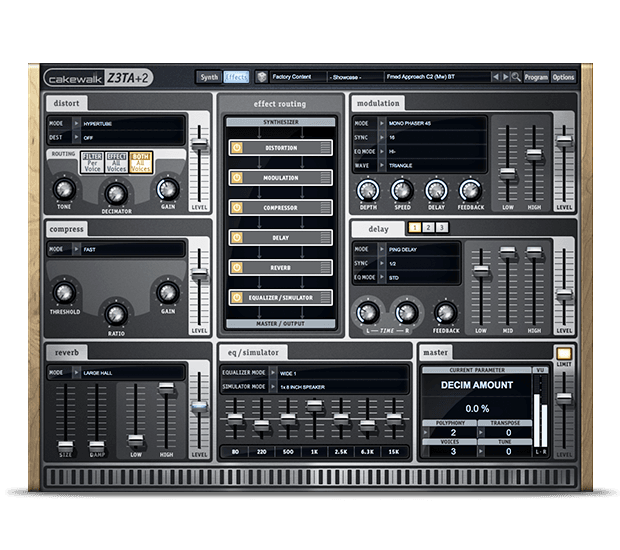 Z3TA+2 is designed to suit any and all of your electronic productions. From pop to rap, energetic to atmospheric, you’ll have the sounds you need at your fingertips. 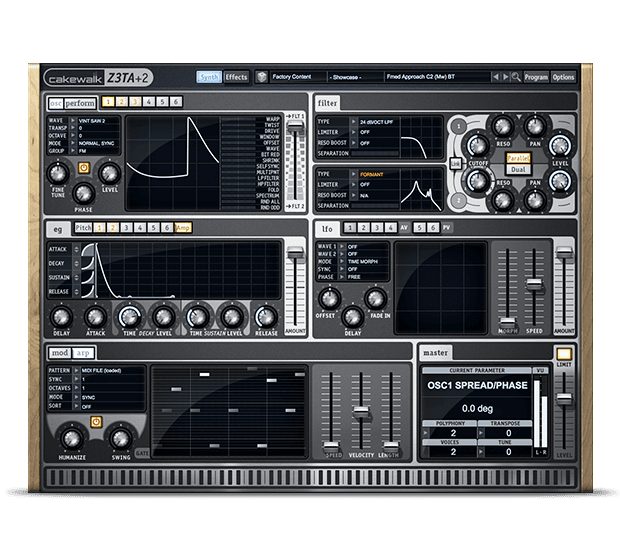 Feel the power of Z3TA+ 2 for free in this fully-featured demo. at a very modest price."